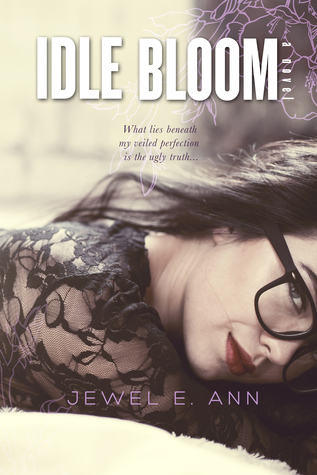 This is my second novel by Jewel E. Ann and I am finding with each one I just adore her writing style and the unique way her mind works as she is creating a story. I was lucky enough to receive this novel from Netgalley in exchange for an honest review. When reading this novel I went through so many emotions; pity, anger, throat punching frustration, pity again, hurt, devastation, wanting to smack a character silly, wanting to hug a character and make everything better, did I mention wanting to throat punch a character?? Overall though because I did experience these feelings I know Jewel E. Ann had me in the palm of her hand. I started out liking both characters a lot and loved how they met and how the relationship grew. The main female character Vivian is a very immature 21 and this is partly why I wanted to smack her silly. She had all the characteristics of a very sheltered young girl of that age and her decisions were that of a 21 year old. She hid, she lied she bent reality to see it how she thought it should be based on her emotional reaction to the situations. This is why I found it surprising that Oliver our 29 year old male main character was attracted to anything outside her physical appearance. I think in some ways he was trying to relive a youth that tossed him from happy to devastation in a quick minute. I did love Oliver, I felt sorry for him so many times, over the past, over Vivian, over his emotional challenges. Vivian I was not as sympathetic I think because her behaviour was so self centred, she could have been damaged so much worse than what she was...this is another throatpunch moment for me. Kai, Vivian's former boyfriend and now best friend....not sure how all that worked since it was obvious he still had feelings for Viv did come across quite stalkery....this made the relationships so many shades of fuckedup it was amazing to see how they all worked things out. It sounds like I didn't like the story but I really really did and I think it was because of how unique JEA twisted the tale so that she could wring as much emotion from the reader and enfold the reader into the story. I didn't really like Vivian that much ...I did love Oliver and his family...all this makes it hard to decide how to rate this novel....I settled on 4 stars based on all the above ...if I had liked Vivian more I think it would have been a potential 5 star. I can't wait to delve into more Jewel E. Ann novels!